Fred Block Ford Foundation Conference on Financial Institutions for Innovation and Development Beijing, October 17-18, 2013. 3 What the U.S. tells other nations to do. 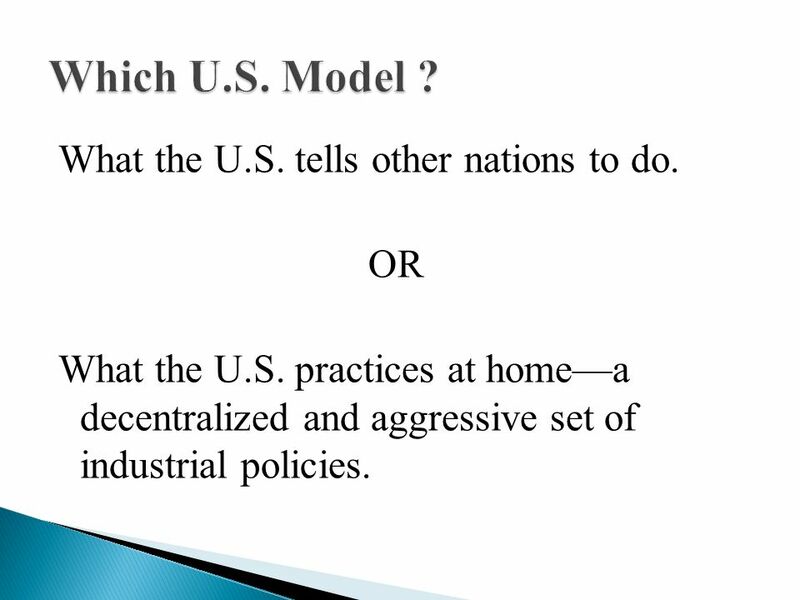 OR What the U.S. practices at home—a decentralized and aggressive set of industrial policies. 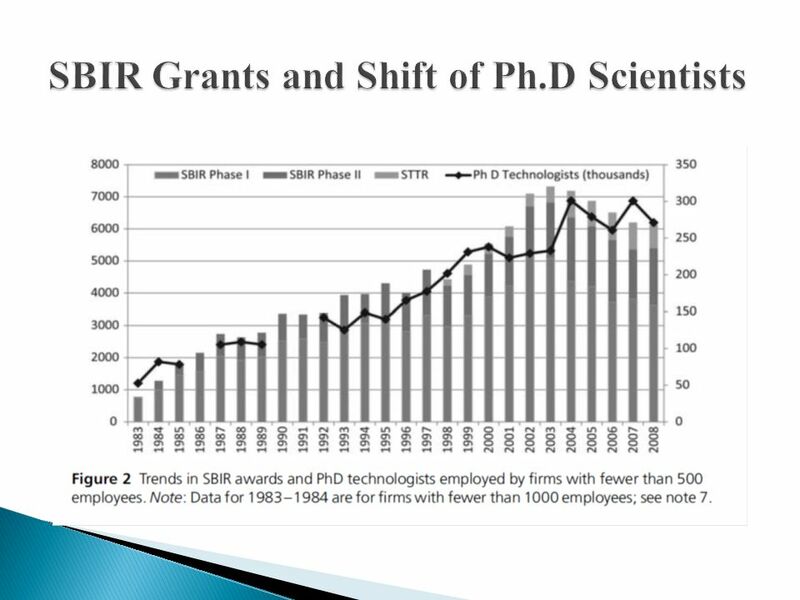 5  Mobilize university and federal laboratory based researchers to focus on critical technology challenges.  Encourage and support new small firms that will compete directly with established firms. 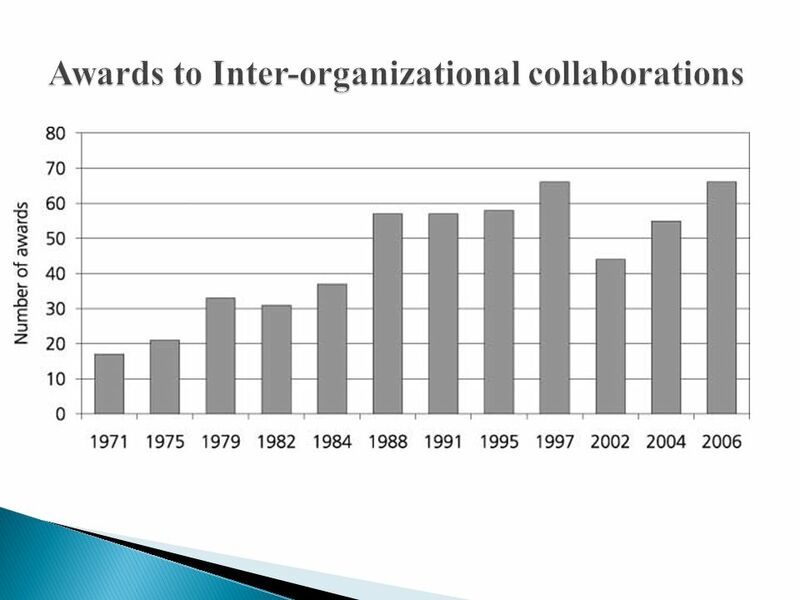  Highly decentralized; multiple initiatives to overcome key technological barriers co-exist often with little coordination. 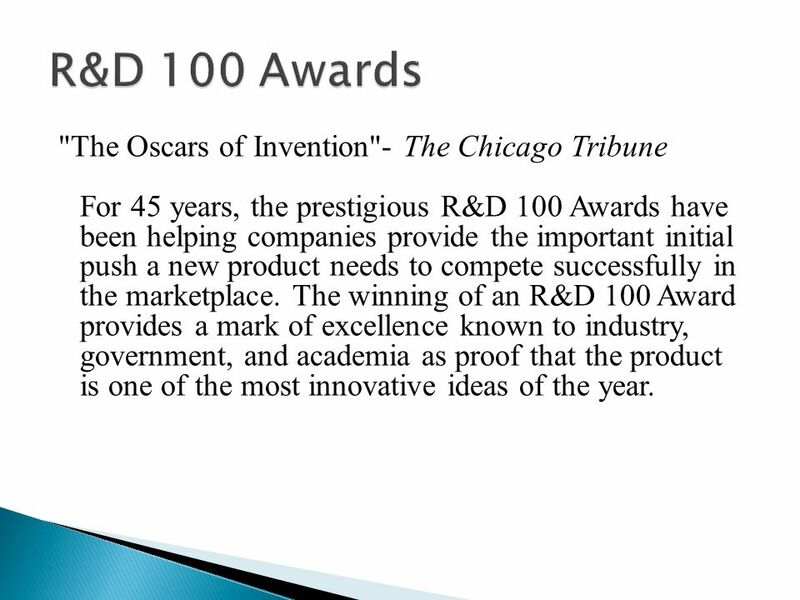 12 "The Oscars of Invention"- The Chicago Tribune For 45 years, the prestigious R&D 100 Awards have been helping companies provide the important initial push a new product needs to compete successfully in the marketplace. 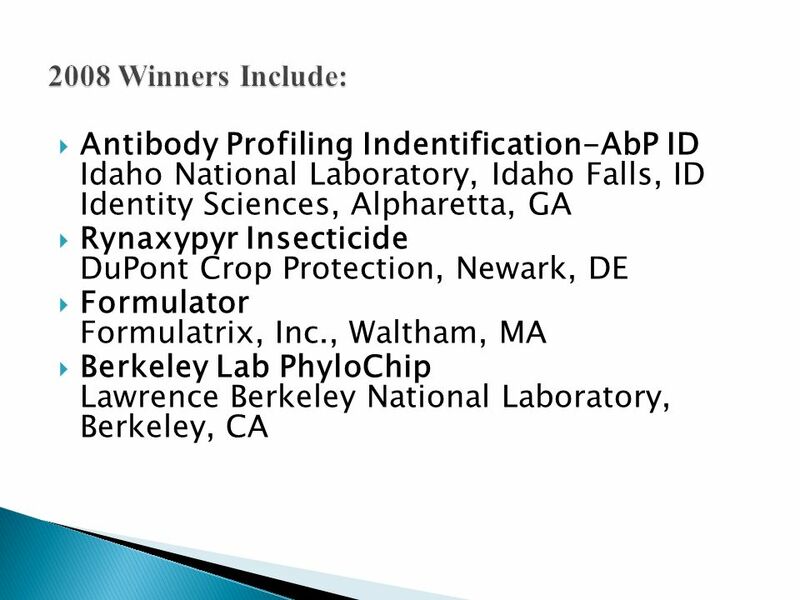 The winning of an R&D 100 Award provides a mark of excellence known to industry, government, and academia as proof that the product is one of the most innovative ideas of the year. 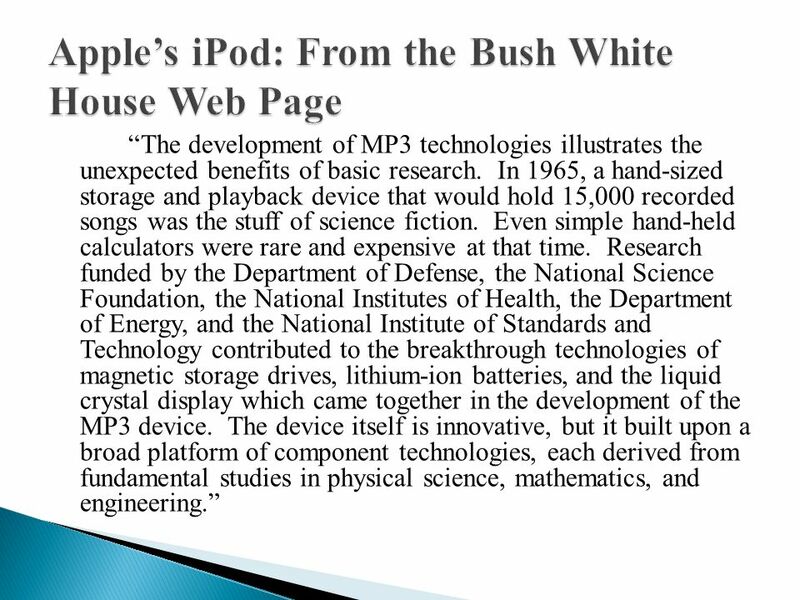 13 Past winners of R&D 100 Awards include “Polacolor film (1963), the flashcube (1965), the automated teller machine (1973), the halogen lamp (1974), the fax machine (1975), the liquid crystal display (1980), the printer (1986), the Kodak Photo CD (1991), the Nicoderm antismoking patch (1992), Taxol anticancer drug (1993), lab on a chip (1996), and HDTV (1998). 15 "The Oscars of Invention"- The Chicago Tribune For 45 years, the prestigious R&D 100 Awards have been helping companies provide the important initial push a new product needs to compete successfully in the marketplace. The winning of an R&D 100 Award provides a mark of excellence known to industry, government, and academia as proof that the product is one of the most innovative ideas of the year. 18  WTO Agreement outlaws export subsidies but initial language permits governments to fund 50% of pre- competitive R&D. 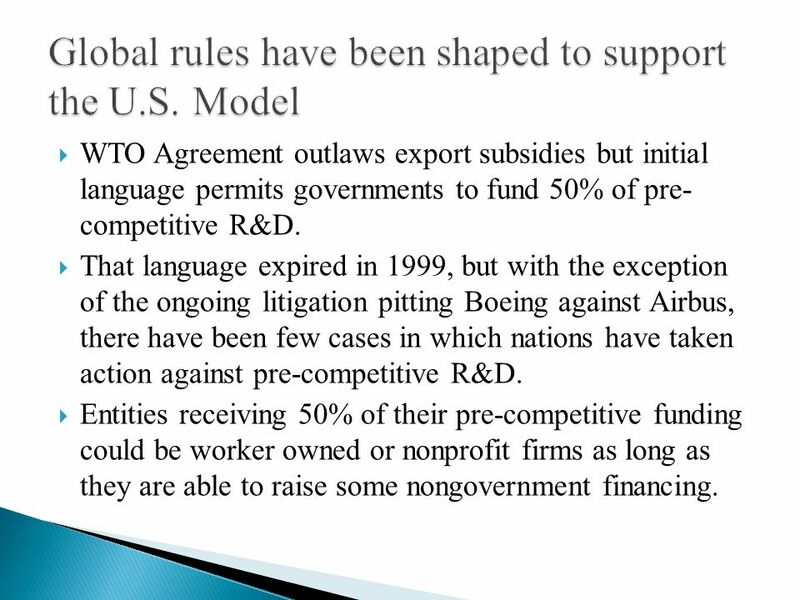  That language expired in 1999, but with the exception of the ongoing litigation pitting Boeing against Airbus, there have been few cases in which nations have taken action against pre-competitive R&D. 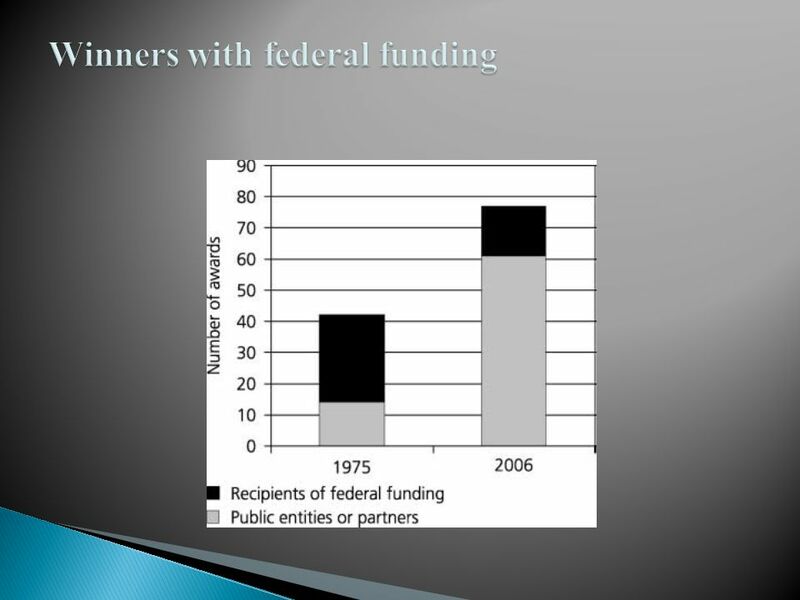  Entities receiving 50% of their pre-competitive funding could be worker owned or nonprofit firms as long as they are able to raise some nongovernment financing. 21 Occur in decentralized production systems when: 1. 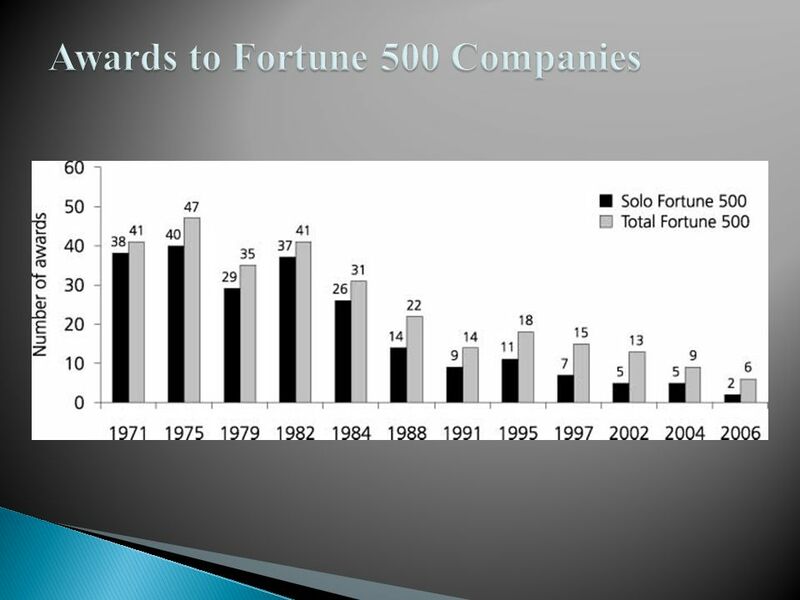 Firms cannot find the partners they need. 2. The potential partners lack the needed competence. 3. The potential partners lack integrity and honesty. Public programs can help participants with all of these issues. Source: Josh Whitford and Andrew Schrank. 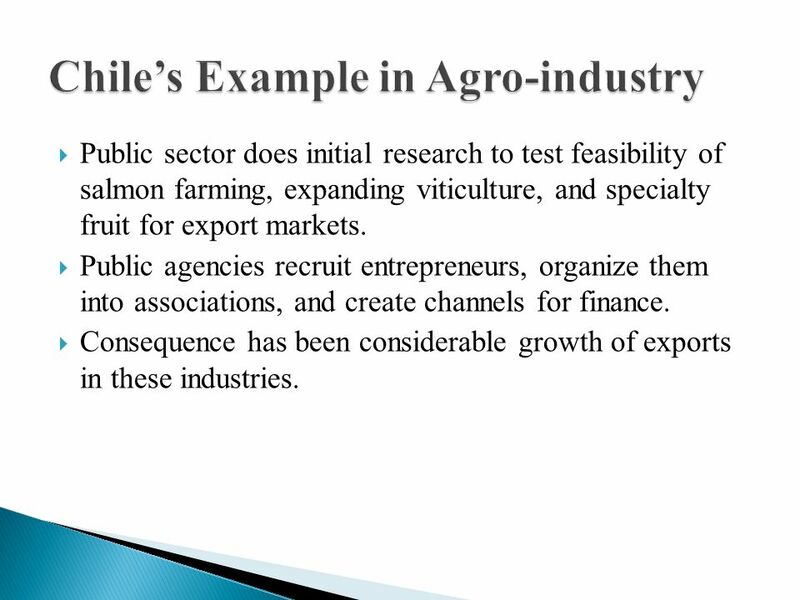 22  Public sector does initial research to test feasibility of salmon farming, expanding viticulture, and specialty fruit for export markets. 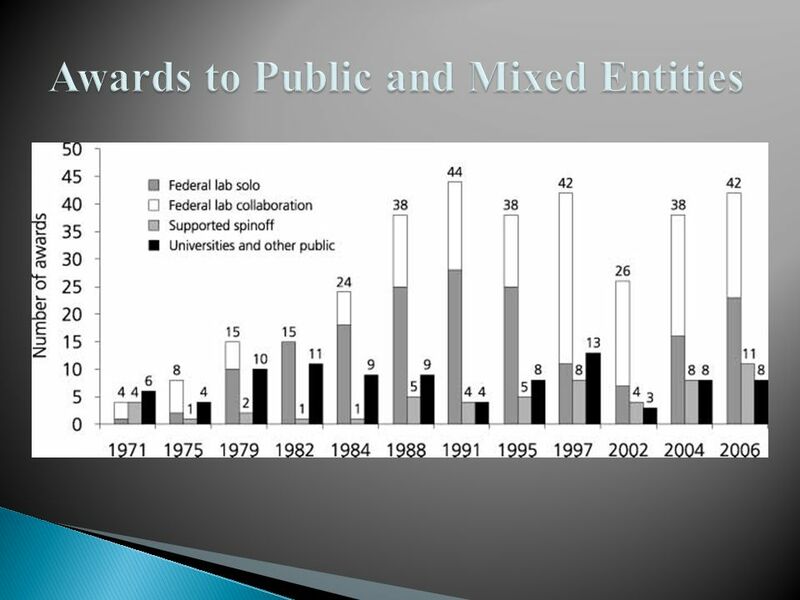  Public agencies recruit entrepreneurs, organize them into associations, and create channels for finance.  Consequence has been considerable growth of exports in these industries. 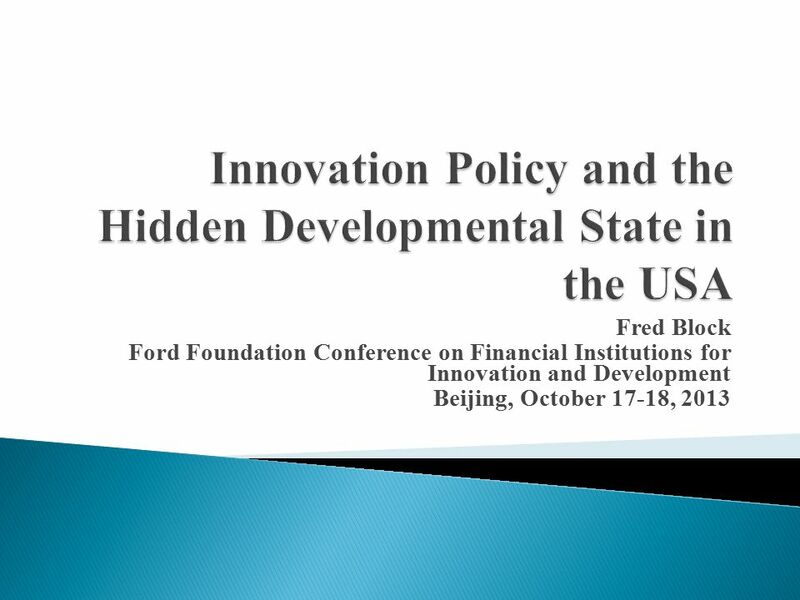 Download ppt "Fred Block Ford Foundation Conference on Financial Institutions for Innovation and Development Beijing, October 17-18, 2013." David M. Pollock Medical College of Georgia Discovery-Academia. 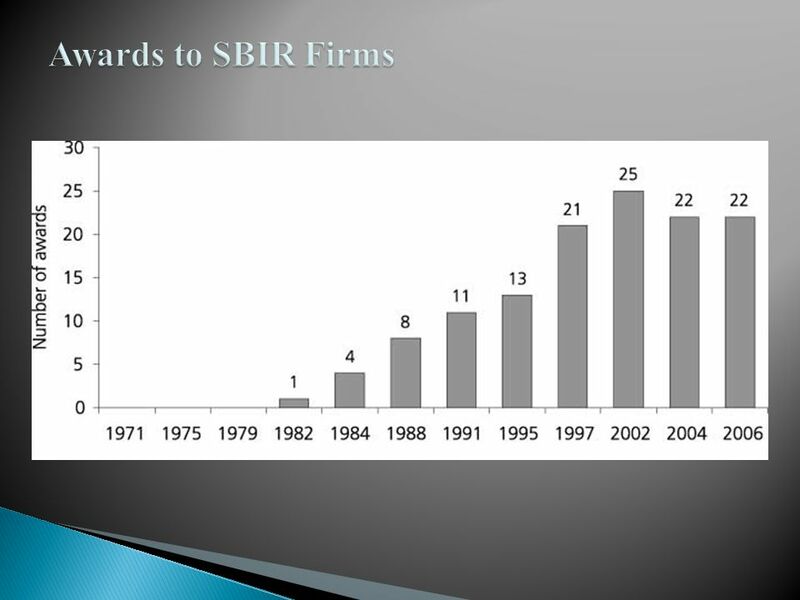 SBIR/STTR Origins... Small Business Innovation Development Act of 1982 Stimulate technological innovation Meet federal R&D needs Foster and encourage participation. Expanding Engagement with the Private Sector on GEF Projects 1 ECW Nicaragua 3-5 March 2015. 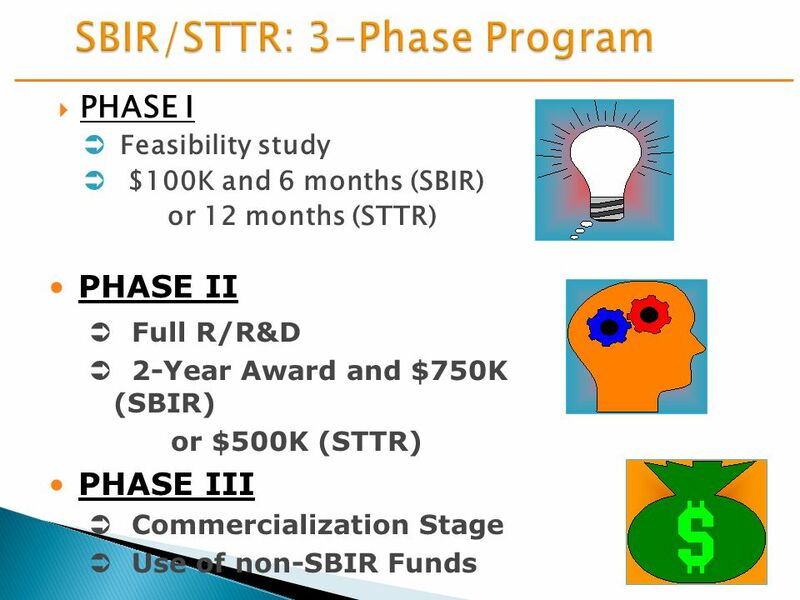 The NASA Small Business Innovation Research (SBIR) AND STTR Program Presentation to the Stennis Business Consortium Meeting, Stennis Space Center John. 1 Battelle: International Partnership Strategy Richard C. Adams Senior Vice President, Battelle February, 2007. ` OEDIT Presentations December 8, Collaborative innovation is key for job creation and economic growth “Given the complexity of the problems and. Margaret Somer, Regional Director Small Business Development Center, Northeast Mass Salem State College. 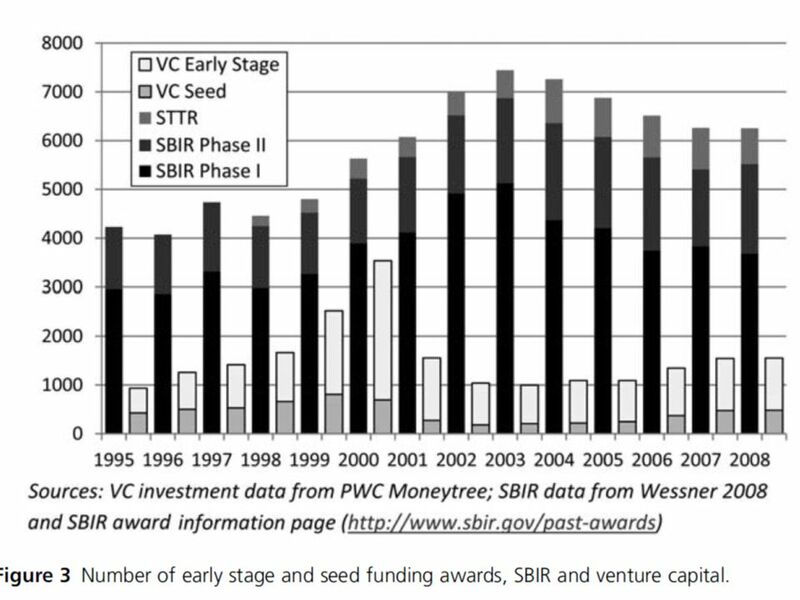 SBIR/STTR. 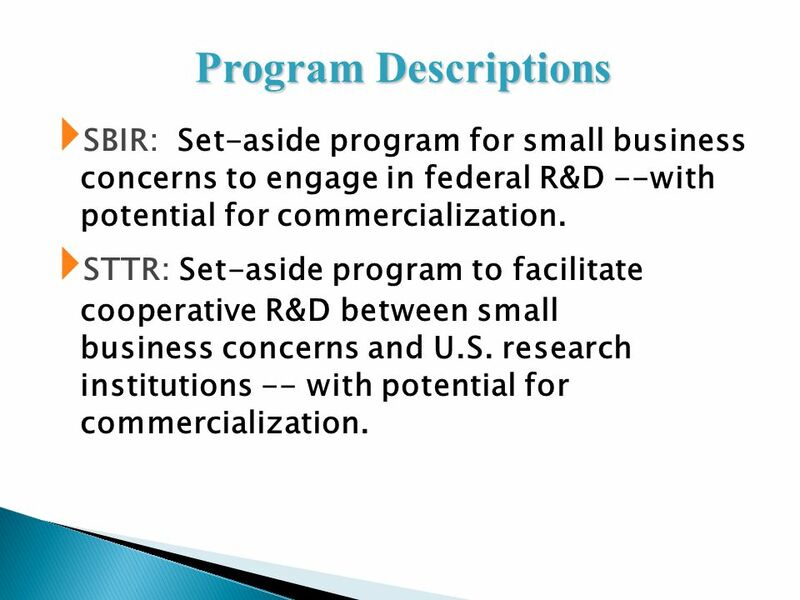 SBIR Small Business Innovation Research Program Objectives Stimulate technological innovation Increase private sector commercialization of. 2015. MITA. All rights reserved.````` Lithuanian Country Report Gintarė Narakienė The Agency for Science, Innovation and Technology. 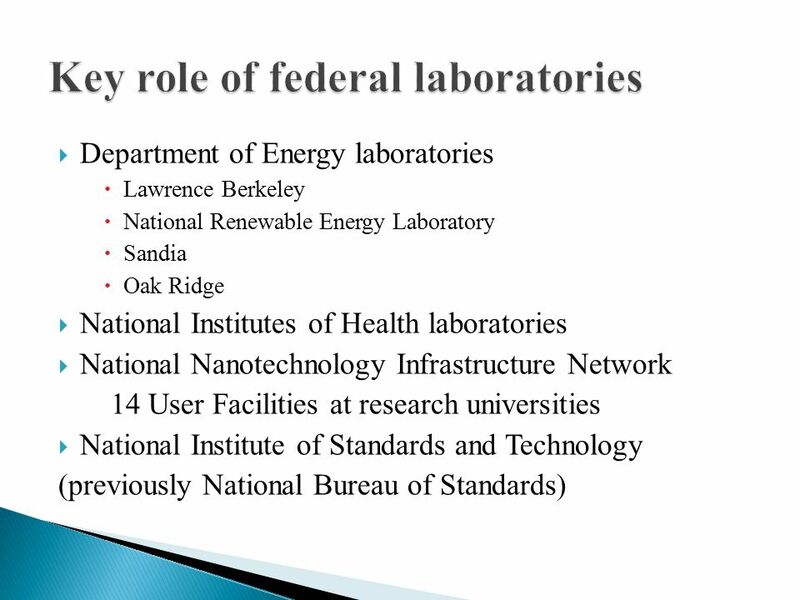 Federal Priorities For Commercialization Office of the Bureau du National Science Advisor Conseiller national des sciences Kevin Fitzgibbons Office of. 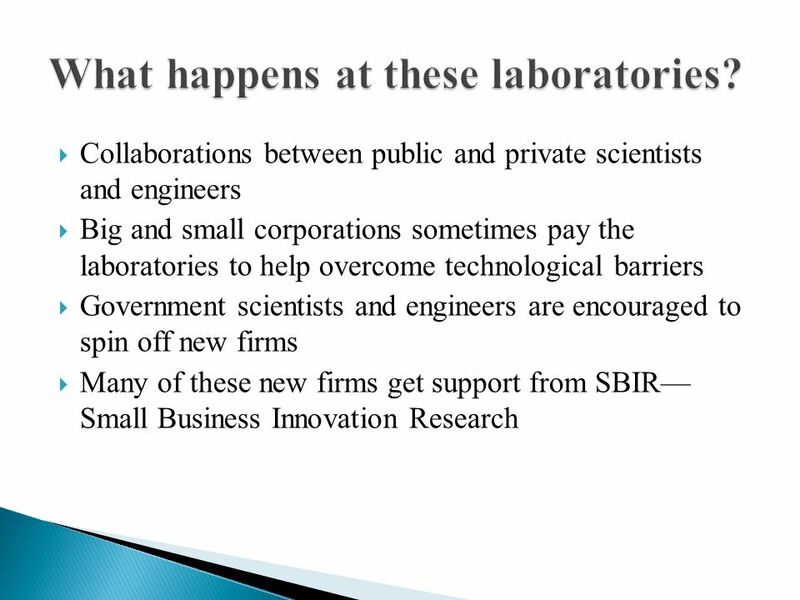 SBIR STTR Small Business Innovation Research & Small Business Technology Transfer at the National Science Foundation. Public Private Partnership-PPP Initiatives Armenia EIF, Mariam Davtyan. Tong Qin, U.S. Small Business Administration Office of Investment & Innovation.